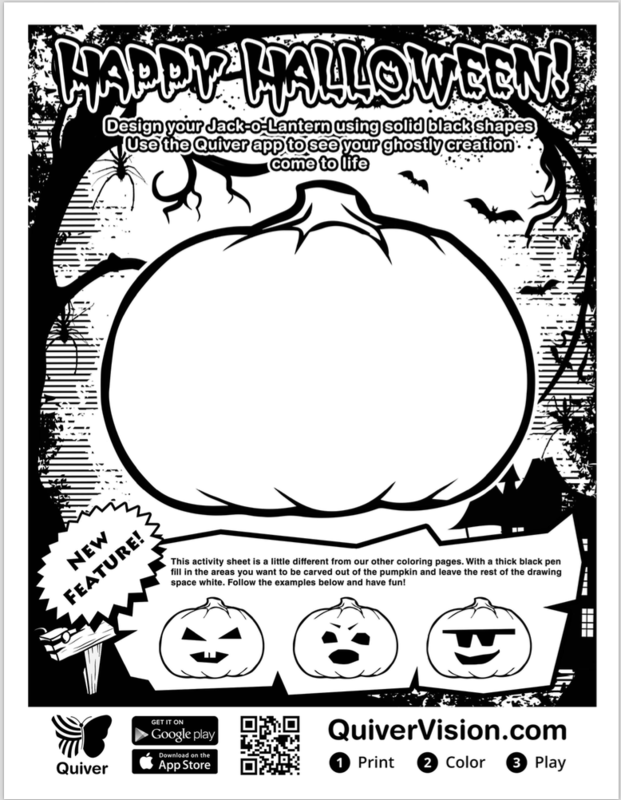 QuiverVision just came out with a new AR (Augmented Reality) iOS app and coloring pages just in time for Halloween! If you are not familiar with QuiverVision, they put out apps and coloring pages that are a great way to introduce students to AR. Quiver Masks is their newest app that uses AR and face tracking. You can color and scan pages with animals, hats, and pumpkins. If you are in a rush, you can scan the blank page and click on the rainbow. With Quiver, here are always fun extras. With the hats, you can press the different flags and hear some say “hello” in that country’s language. This is the owl mask with the night background. It tracks your face and when you open your mouth it makes owl sounds. If you have not played with the original Quiver apps yet, it is worth exploring. I have had my students use most of them and there is always a surprise or something interesting. On some of them, you have the ability to capture a photo or video. This is the dragon page. Maybe tomorrow we will carve some pumpkins!